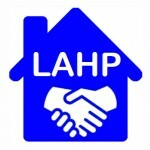 Current Open Bids – Los Alamos Housing Partnership Inc.
Los Alamos Housing Partnership, Inc., (LAHP), on behalf of five homeowners, is seeking bids from qualified contractors for five home improvement projects being funded from the Los Alamos County Home Renewal Program. Bid packages for each project are available by contacting Steve Brugger at LAHP, 505-662-8918 or at stevelahp(Replace this parenthesis with the @ sign)gmail.com. Pre-Bid conferences at each project site are scheduled for Friday, August 26, 2016; please contact LAHP for times and locations. Bids will be accepted at the LAHP office located at 1475 Central Avenue, Suite 220, Los Alamos, NM 87544, until 4:00pm on Thursday, September 15, 2016. Projects funded under the Los Alamos County Home Renewal Program shall comply with Equal Employment Opportunity law. Another five home improvement projects are scheduled to go out for bid on September 16, 2016.